This time of year is a busy one for sports fans. And if you’re a baseball fan, you’re getting pretty excited about the World Series starting this week. It is, of course, way more exciting if your favorite team is playing (which mine is not)! With big games, come big snack spreads. Or so it seems. Whether you’re hosting a party or just making food for your family, you want to make sure that you are spending as little time as possible making food so that you don’t miss a single play! 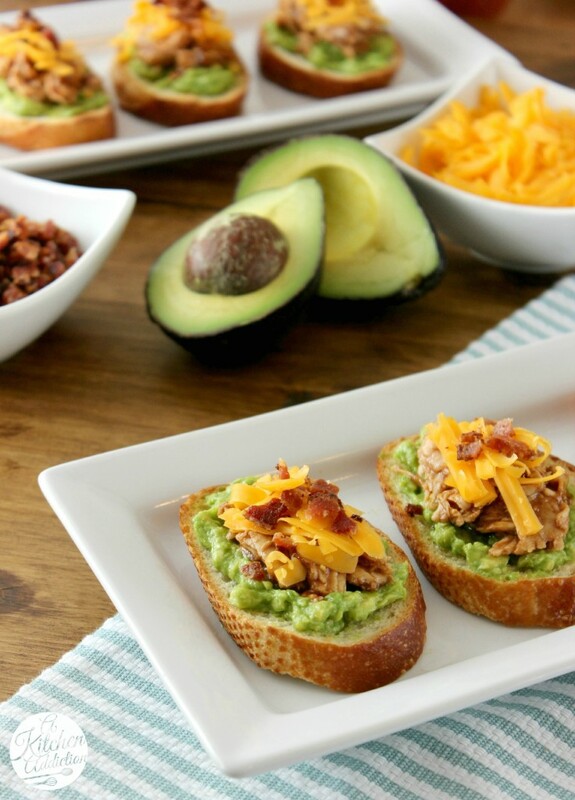 These barbecue chicken bacon avocado crostini couldn’t be easier to make. Most of it can be made ahead of time with minimal prep work at the time of assembly! And the flavor? Well, your family and guests won’t know that you didn’t spend any time making them and that you may have used up leftovers in the process! I’m sharing this appetizer over at Blissfully Domestic today. Head on over and get the recipe! That’s one delicious game-day snack. I want to reach through the screen and swipe the entire plate. Pinned. Oh man. I might have to become a sports fan just so I can have an excuse to make (and eat) this! Awesome flavor combo, and the vibrant colors are so gorgeous together – love it!! What a great appetizer! It’s got avocado, so you know I’m all over it! These look absolutely fantastic – bright, colorful and yummy! always love this flavor combo! These sound fantastic! This looks like and amazing and delicious! 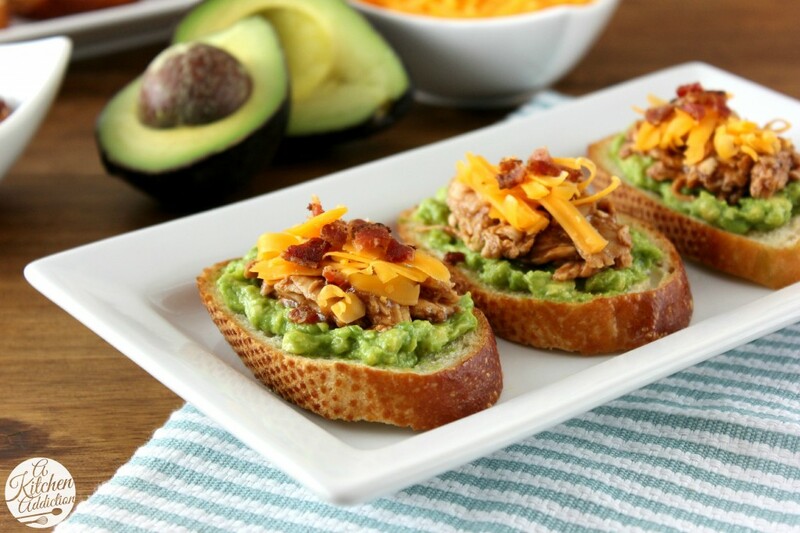 Love that bacon and avocado combo! Holy wow! Jessica this is the best appetizer! Seriously. You’ve combined everything good into one bite! This is a must make! These look awesome! Bacon with avocado. MMMM! Oh wow! I’ve never seen such a good, down home classic American take on crostini. You always see them with goat cheese and fancy jams and things! Absolutely LOVE these, Jess. 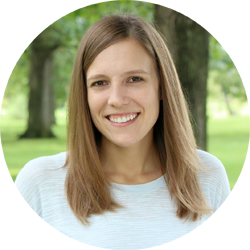 OMG… I love your blog. It’s so nice and I love the script as I type. haha. This looks amazing… I don’t even eat bacon, but I know how amazing it tastes and how good this would be. Love the chicken and avocado combo! I am totally making these the next time I need a killer appetizer! !